So I like being in a program. I like that the people that take care of my horse have some ownership into how my horse is doing vs. just blindly following instructions and shrugging their shoulders at anything they think might be amiss. I think it is SUPER important to find a program that just fits for you vs. trying to fit yourself into a program that requires you to ask for a lot of “special” things. 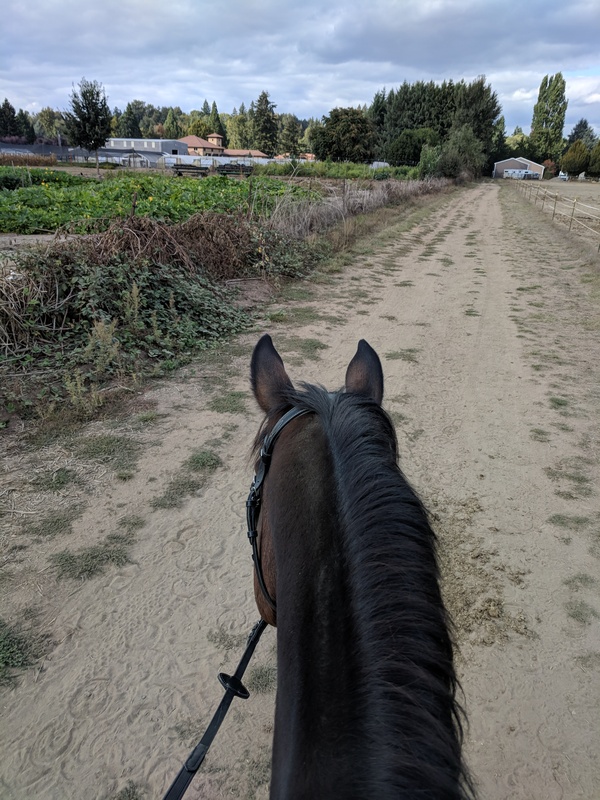 As long as you find that though, it is nice to know that, while I can’t be at the barn, someone else there is actually watching over my horse. Yeah now that you say that, I can certainly think of plenty of examples of trainers shrugging off poor performance and chalking it up to “he needs his hocks done” or “she’s not being fed enough”. If the trainer has ownership, like you said, then they are really IN the thick of performance and care issues. Your program sounds a lot like the one Frankie and I are in, in the sense that it’s there as much as you’d like (for me, I use every aspect and LOVE all of it). And like yours, the horses are all really happy and easy to handle, because there are very consistent expectations for behavior no matter who is handling them. When you find knowledgeable people that like to teach and work with you, it’s such a rad thing to be part of! I’ve never been in a program but I’d think as long as it sits well with your own goals, horsemanship, and horse keeping ethics it would be a great thing. I hope it works out well for you! It is definitely something I think would benefit people provided the goals of the program and the person in charge were fair and had a good knowledge base of what they were wanting and trying to achieve. Aligning that with individuals with similar goals would make for a wonderful environment. I am super keen to see how this pans out for you! It sounds pretty reasonable. I’ve seen people evicted when their horses manners are not good so it’s nice that they work with you. I love the idea of ground work and I think you will get so much out of it. My coach’s barn sounds quite similar – there is certainly a basic structure, but we’re very much free to do our own thing. I like that they’re being honest with you re: their thoughts and have suggestions to help. It sounds like a very positive place! I guess I’m in a “program” but it’s kind of interesting because there is the barn owner’s / barn manager’s program, then my trainer’s program for eventers, and then another trainer’s program for hunter/jumpers. So it’s kind of this little ecosystem of different programs that overlap to some degree. 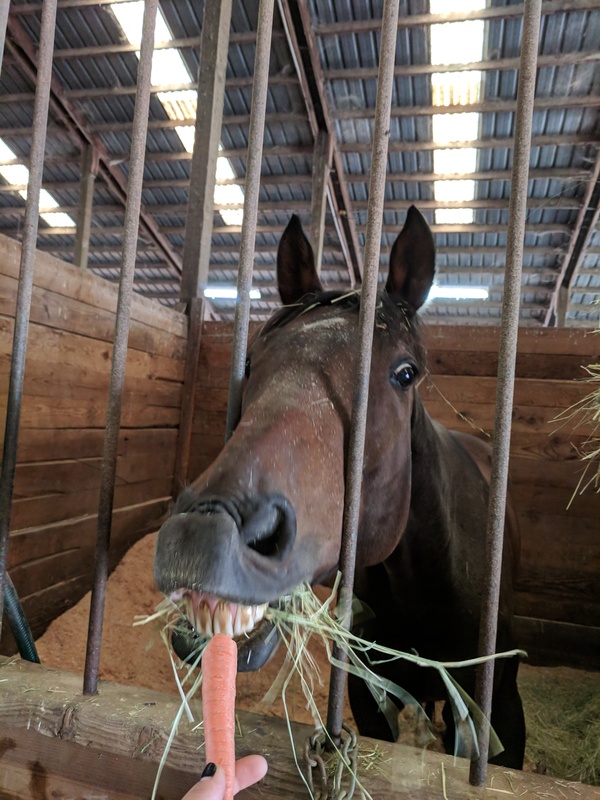 It is also true that beyond the baseline barn management care of the horses, everyone is free to participate as much or as little as they want. It typically works out pretty well. I’ve boarded at a barn where it was a “program” to board there. Hated it. DESPISED it is a better way to explain it. I am VERY hands on with my horse, in every aspect. And this place did not want you to have really any control over the horse other then handling it, and that was really only for outdoor horses anyways. It did not work for us at all, and every single horse there was incredibly unhappy. I would like more structure then where I am boarding now, but giving up my freedom with my horse doesn’t really interest me at the moment and few barns let other coaches come in. Your new program sounds pretty cool. I like that they have a resident cowboy. Its hard being told your children are unruly, human or animal. Being a working mom, having someone do everything including blanket and feed sounds really nice… if it allows some freedoms as not all horse/ owners are created equal. My trainer and the WS I think feel sorry for my horses, or really like me, because even when I go down to half training, they are always very helpful keeping my horses from looking like mangy neglected bastards as sometimes happens when life intercedes. It’s interesting that as an adult I love the program life! Helps with my own structure, goals, care etc. but I do wish that I had had a chance to learn more about the options and complex care info out there as a junior rider. I had huge info gaps that I had to figure out for myself since before it had always been out of my hands.